Montgomery Township was recently named a “Sustainability Hero,” one of only fourteen towns in New Jersey to have earned Sustainable Jersey Certification for the 10 years that the program has existed.In October 2009, the first thirty-four towns in New Jersey achieved Sustainable Jersey certification at the bronze-level. Fourteen of these municipalities have continuously maintained their certification since 2009. Besides Montgomery, the other sustainability heroes are: Berkeley Heights, Bernards, Chatham Township, Cherry Hill, East Brunswick, Edison, Galloway, Hillsborough, Lawrence, Maplewood, Mount Olive, Summit and Woodbridge. Montgomery Township has been certified with Sustainable Jersey since 2009. The volunteer-led Montgomery Township Green Team, or Sustainable Montgomery, leads the sustainability initiatives. Lauren Wasilauski, the Open Space Coordinator for Montgomery Township said, “The Environmental Commission/Sustainable Montgomery considers the three pillars of sustainability as: people, planet and prosperity. Sustainable Jersey has helped to hone our mission, and to look at all issues in our community through the lens of sustainability, including making recommendations on our new municipal complex, being involved in the early stages of creating the Montgomery Business Association and in providing resources to our community such as bike helmets and lights (funded by a Sustainable Jersey grant!). The dedicated service of our green team volunteers helps to make all this possible!” Read the most recent Montgomery Township certification report . Sustainable Jersey recognizes the hard work and dedication that these towns and their sustainability program leaders have demonstrated. 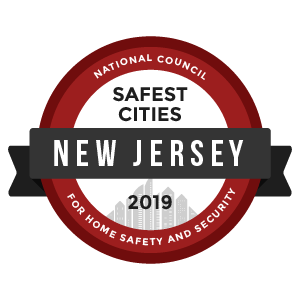 From the first thirty-four municipalities that registered to become certified in March 2009, to the 449 municipalities currently registered in 2019, Sustainable Jersey is inspired by the individuals at the local level who are contributing to a more sustainable New Jersey.